Here is a great looking Mule deer buck mounted in the heads up pose. He faces his left into the room. 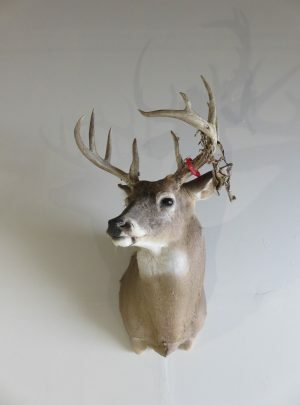 A terrific 28″ wide spread (outside measurement) at the widest point. 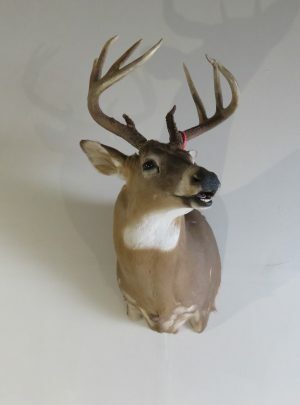 He has 11 points (Eastern count) or a 6 x 5. 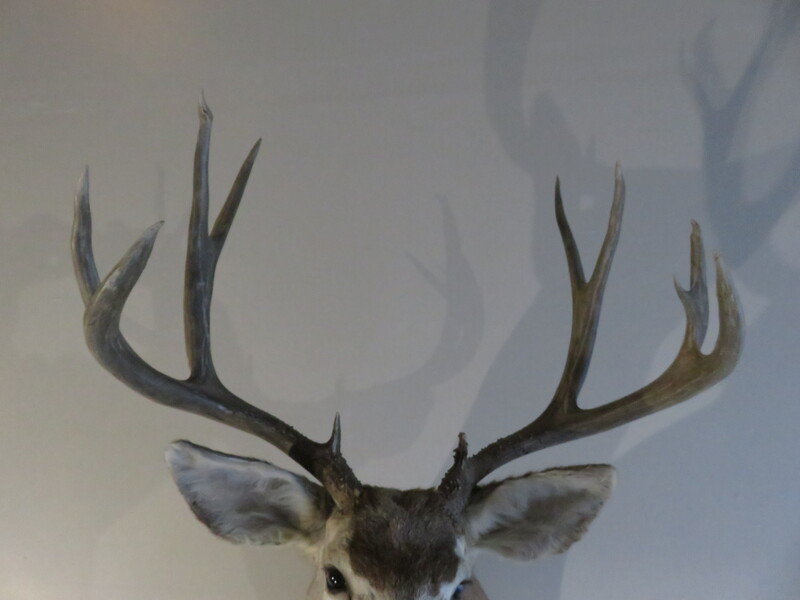 Antlers have a nice tine length to go with solid heavy beams and “eye guards”. 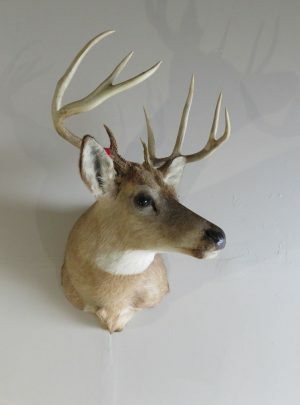 Wonderful craftsmanship on this item combined with a great wide rack allow us to award this mount the grade of “Premier”. 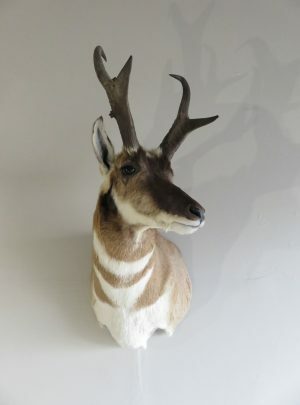 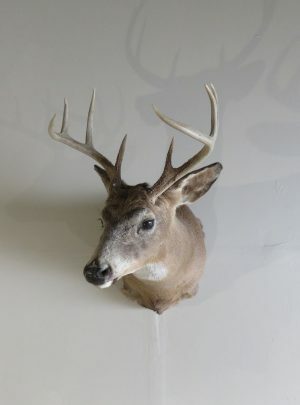 He would make a great statement piece as a part of a collection or as a stand alone trophy. 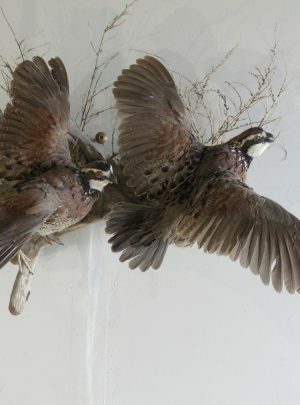 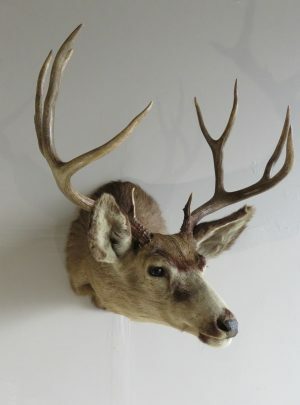 A super mount of one of North Americas most popular big game species. 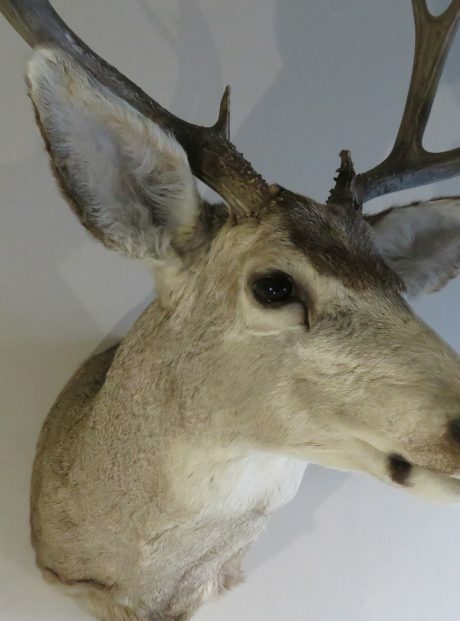 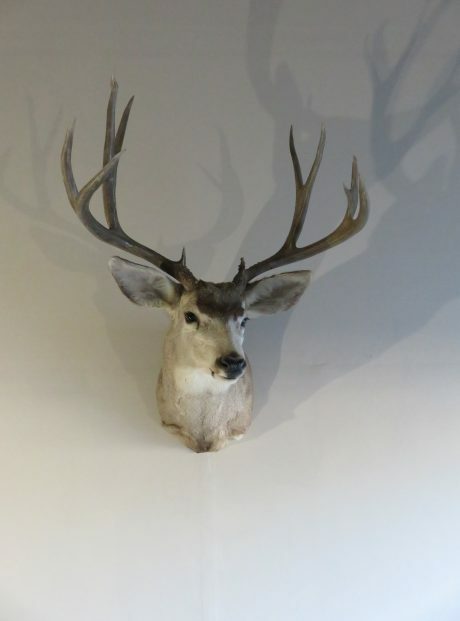 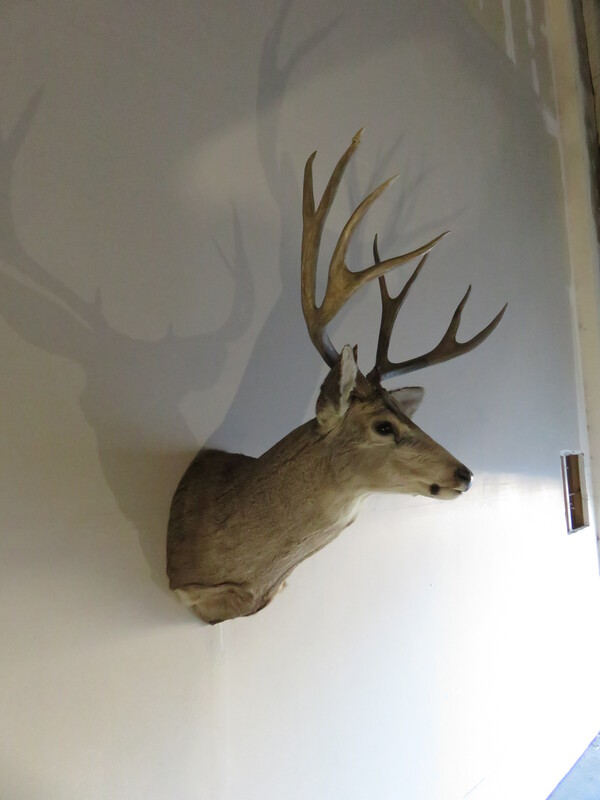 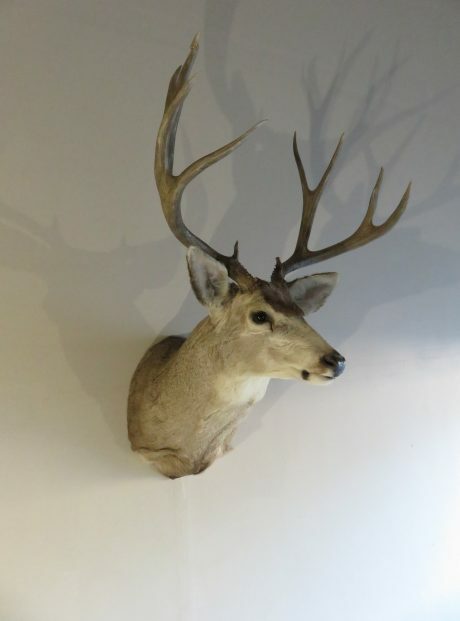 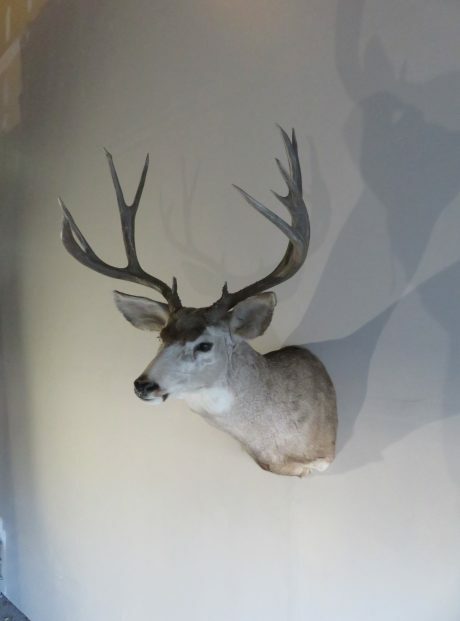 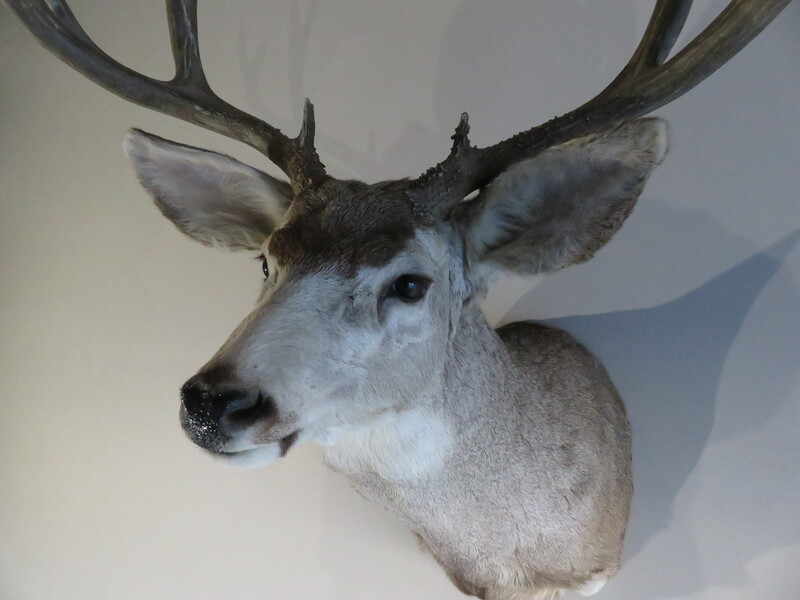 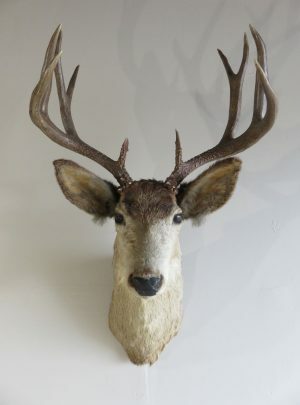 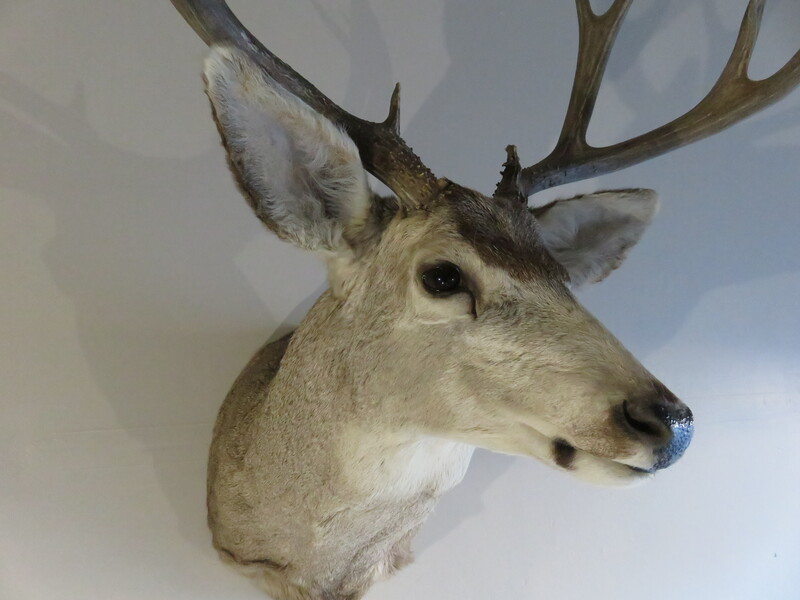 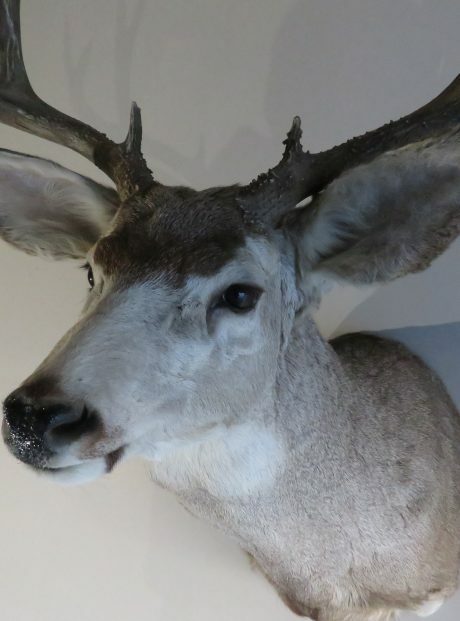 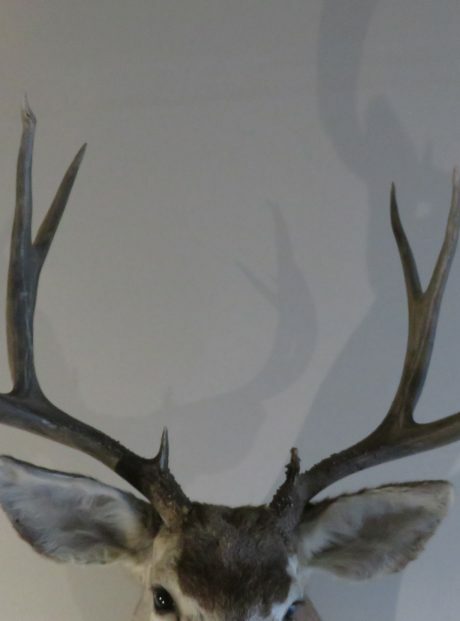 Over all mount dimensions are: 31″ deep (from the wall to nose) x 29″ wide x 44″ high (from chest to top of antlers).